“Where Family Comes First” has been our foundation for connecting families with quality caregivers for over 30 years. We believe there is nothing more important than the care our loved ones receive. We are parents, childcare professionals, household employment experts, senior care professionals, nanny placement counselors and employers of nannies — all working to help strengthen family connections, both at home and in the workplace. 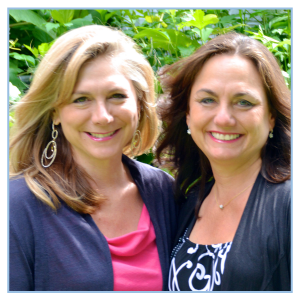 Stephanie Graff (St. Louis) and Sharon Graff (Miami), both mothers of two and former nanny employers, have dedicated their 30+ year careers to helping families secure safe reliable care for their loved ones. As working mothers, they both fully understand the emotional stress and physical time commitment involved in managing busy families. They have built TLC with a serious commitment to the safety, health and development of children, support and education of the nannies and sitters, and easy access for busy parents. Stephanie has been running/managing the St. Louis office since she graduated from Emory University in 1989. 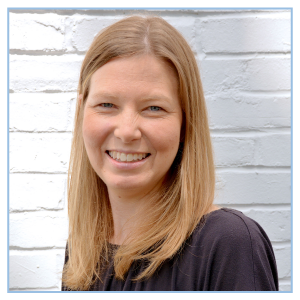 Since then, Stephanie has dedicated her time to managing a superior staff of professionals who recruit interview, screen, train and match nannies and families. With a commitment to unparalleled customer service, she is constantly working with our programmers on upgrades that make our client experience easy and painless. As a working mother herself, she is committed to making life easier for working mothers by maintaining the best staff of nannies and babysitters who are ready when parents need them. Sharon has been at the helm of TLC since she founded the agency in 1985. She has been a pioneer in the nanny industry and served on Board of Directors for The International Nanny Association for 16 years, establishing the first standards for nanny agencies and employment of nannies in the U.S. Sharon attended Washington University and Hampshire college where she studied communications and women’s studies. Her thesis on women in leadership in the 1980s led her to develop one of the first on-call networks of nannies in North America. Today she serves as a consultant for agencies and continues to work to improve and grow TLC with her sister, Stephanie and her husband, Gregg. After raising two wonderful children with the help of great nannies, Sharon expanded TLC into South Florida where she has lived since 1992. Our team is comprised of dedicated professionals who have intimate knowledge of the needs of parents and extensive experience matching families with caregivers. Working with TLC means partnering with an agency that treats every family and every caregiver with dignity and respect. We make every effort to understand the unique needs of the family and of the applicants. We pride ourselves on the longevity of our team. Most of the Office staff members have been working with TLC for over 15 years. That means you get the advantage of our experience! We offer a distinct advantage that sets us apart from other agencies and care websites. We are a group of professional people, not a website, working with you and for you to find the right fit! Angela has been involved with TLC since she entered college in 1987. After working as a temporary nanny for five years, Angela joined the office staff in 1992. She specializes in matching families with the best available temporary nannies. She also coordinates TLC’s newborn and postpartum care as well as group child care for events, meetings, weddings and religious organizations. Her experience and incredible attention to detail keeps TLC organized and efficient. She always does her best to accommodate all of your special requests and needs. Please ask for Angela when you need help in our temporary division! Angela has also been active in the International Nanny Association where she has presented workshops and consulted with many agencies in the development of their temporary services. Angela volunteers with Clowder House foundation, a no-kill cat shelter in St. Louis City. In her free time, Angela enjoys Cardinals baseball, travel, and cooking. Debbie is the mother of three children. She has a Bachelor’s Degree in Marketing and a Master’s Degree in Business Administration. 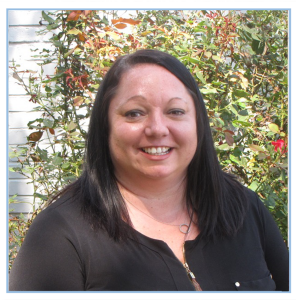 Debbie started working with TLC as a Temporary Caregiver while attending Saint Louis University. In 2000, she transitioned into an office position as TLC Temporary Services Personnel Director. In her current position as Director of Permanent Placements, she performs in-depth consultations with nannies and families, covering topics such as interviewing tips, negotiating compensation packages, and how to foster a healthy and successful employment relationship. Debbie also helps with website development and manages TLC’s Social Media and P.R. 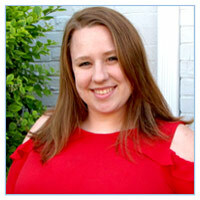 She is the writer of the TLC Blog and creator of TLC’s newsletters for both clients and caregivers. In her free time. Debbie enjoys running, volunteering at her children’s school, and supporting them in their extracurricular activities. Connect with Debbie on the TLC Facebook, Twitter and LinkedIn pages! Maria, mother of two, joined TLC in 1999 when her children were young as TLC’s After Hours Emergency Services Coordinator. 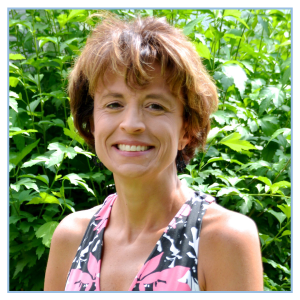 While Maria has worn many hats at TLC, she became TLC’s Director of Personnel in 2010. She is currently responsible for hiring all of the temporary nannies. Maria handles interviewing and screening our temp nannies so that she is personally selecting only the best for our TLC member families. Several key elements are considered in evaluating our applicants. We select those with the best interview skills, strength of work history, experience with children of all ages in various settings, social media presence, availability, quality of feedback provided by references, criminal background, and responsiveness to the employee recruitment team. Maria also coordinates CPR and continuing education for our caregivers. Brandy is a mother of 2 boys whom she stayed home to raise for their early years. She has been a nanny on and off over the last 10 years, including working as a permanent nanny for TLC for 1 year before she started traveling the U.S. with her husband where she continued working as a nanny for many other families. While in Dallas she worked at a nanny agency and fell in love working “behind the scenes” of finding nannies. She knew then it was her calling to remain involved and working in the business of identifying and hiring high-quality caregivers. Brandy and her family recently moved back to St. Louis, and as her boys are older now, she was ready to get back into her career development. She now works as TLC’s recruiting and hiring specialist for Florida and Georgia. She enjoys hiking, boating, working out and running around with her 2 very active boys. 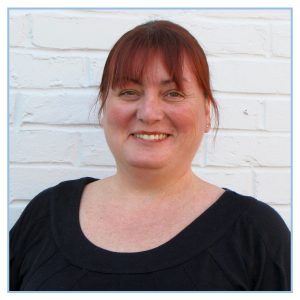 Tricia began her career with TLC in 1998 as a Temporary Caregiver and was quickly moved into the role as Placement Counselor, where she guided families through their searches for permanent nannies by identifying and screening the best candidates for the positions. In 2003, Tricia moved across the US to marry her high school sweetheart, and then to Mexico City, Mexico for several years. 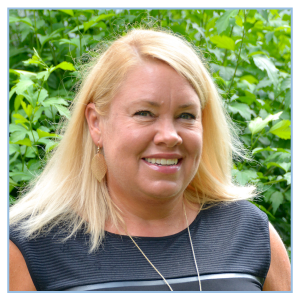 Tricia returned to the TLC team in the Spring of 2016, as Recruiting and Hiring Specialist for FL, MA and GA markets. Tricia oversees the hiring, screening and training of our Backup Caregivers for child and senior care. Tricia’s firsthand knowledge in all areas of the nanny business is a true asset to TLC. Her past experience as a nanny, babysitter and preschool teacher gives her insight to our caregivers. As a mother, she has employed nannies and babysitters. And as a daughter, she was a caregiver to her father, who suffered from dementia. Tricia enjoys volunteering at her son’s school and the various extracurricular activities he is involved in. She also volunteers with many volunteer programs in her community. 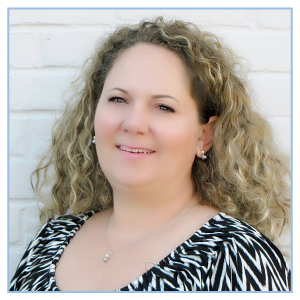 Chrissy has worked in the Home Health Care field for the past 20 years. Her career started out as a Certified Nurse’s Assistant working in the field with older adults. After 10 years of caregiving, she was recognized for her hard work and ability to connect with both families and employees and was promoted to management where she has worked for the past 10 years. Chrissy is married and is a proud mother of 2 girls ages 5 and 21. Chrissy’s 21-year-old lives in Arizona and is in the US Air Force. As a Recruiting and Hiring Specialist for TLC, Chrissy is responsible for recruiting and hiring new caregivers for both the temporary and permanent nanny placements. This includes interviewing, background checks and orientation for all permanent nannies that are placed. Chrissy also coordinates Newborn Care Services for the families seeking assistance with infant care. In this position, she works closely with families to go over their needs and find the right care provider. Once a care plan is in place, she selects an appropriate Newborn Care Specialist, Post Partum Doula, night nanny or baby nurse to interview with the family. Chrissy works with the parents and the caregivers to set up a schedule. Chrissy enjoys the rewarding work connecting expectant moms with knowledgeable infant care specialists. In Chrissy’s free time she enjoys watching sports, spending time with her family and traveling. Jen has been with TLC since May of 2017. She came to us with much experience both as a nanny of 16 years, as well as agency knowledge from her former position with another agency. Born in Baton Rouge, Louisiana (Geaux Tigers! ), Jen moved to the Atlanta area in 1977. Jen believes that connecting with people and their needs is the most important aspect of a good quality relationship with all of our caregivers and families. She is a real “people” person and truly makes a connection with our clients and caregivers. 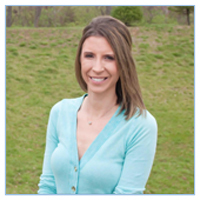 Jen is knowledgeable in all aspects of TLC and is always happy to help! In her free time, Jen spends time with her husband, Nathan, who she has been married to since September 1999, and they have three dogs they adore. They love boating, traveling, and spending time with friends and family. Christina is a recent college graduate and started her Human Resources career with TLC in 2017. Christina went to school at Wittenberg University in Springfield, Ohio then moved to St. Louis to be closer to her family. She is in charge of our payroll and employee relations while also functioning as a staffing assistant. She has worked with kids most of her life, her last job being a birthday party planner at an ice rink throughout college. Christina has worked with children most of her life, her last job being a birthday party planner at an ice rink throughout college. In her free time, Christina loves walking and cuddling her fur-baby Bree, a 5-year-old sheared beagle mix. Christina also periodically picks up TLC temporary babysitting jobs, just for fun! She enjoys swimming, Netflix, and watching golf tournaments. Kathy is the proud mother of two daughters and grandmother of three. 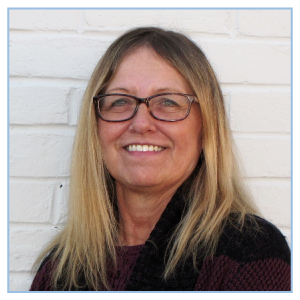 After 25 years as a Pharmacy Tech and 3 years as a Patient Appointment Scheduler for a St. Louis Physical Therapy office, she brought her awesome customer service and scheduling skills to TLC. Referred by daughter Sarah, who was already a part of the TLC team, she knew TLC was the perfect fit for her. Kathy makes it her practice to develop a personal relationship with all of her caregivers so that she knows just the right person for each family. As a working mother herself, she knows the importance of having quality caregivers that can be trusted with your loved ones. She is always working to go the extra mile to choose the right caregiver for each and every family. Kathy is also a caregiver herself and spends her weekends assisting her disabled sister. 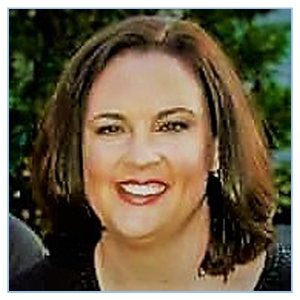 Angie, proud mother of three, joined TLC with a several years of experience in the In-Home Care staffing industry as well as a strong understanding of the needs of today’s busy families. After receiving her Bachelor’s Degree in Occupational Education and an Associate’s of Applied Science in Human Services, she worked for several years for Home Heath Care services before joining TLC. As the After-Hours Job Coordinator for TLC, Angie is responsible for managing, coordinating and processing all after-hours TLC job requests. When you need to reach TLC after hours or on the weekends, Angie will be there to help you out! Gregg’s extensive background in organizational operations and technology supports the wide-ranging day-to-day needs of TLC. Constantly seeking ways to improve the systems, information flows, and communications within the company, Gregg brings order and direction with an eye to the future. After consulting with TLC regarding its systems and operational structures since 1992, he eventually assumed a full-time role as TLC’s Director of Operations in 2012. Because Gregg has spent over 30 years working in all facets of organizational operations, and was educated in systems analysis and design, he constantly strives to find bottlenecks or weaknesses in our business systems and develop improvements that benefit both clients and employees alike in accomplishing their goals. 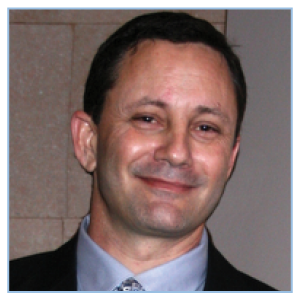 Gregg has his Bachelor’s Degree from The University Of Colorado in Business & Management Information Systems. He spends his free time skiing as much as possible, hiking, biking, reading, and playing drums.